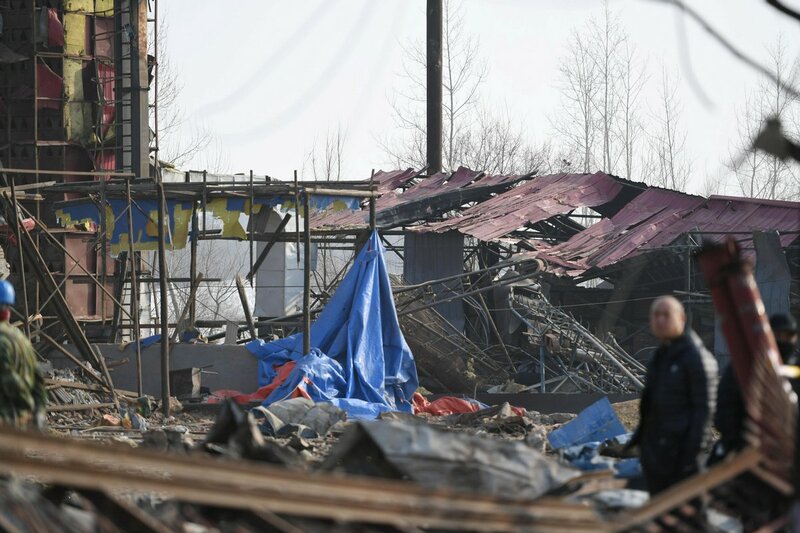 A truck carrying combustible chemicals exploded at the entrance of a chemical factory in a northern Chinese city that will host the 2022 Winter Olympics Wednesday, leaving 23 people dead and 22 others injured, state media and authorities said. The blast ignited other vehicles, leaving charred and smoking remains of trucks and cars scattered on a road as firefighters worked at the scene, according to images posted online by state media. A witness told AFP he heard a "very loud bang" after midnight and saw a field and trucks engulfed in flames outside the factory in Zhangjiakou, a city some 200 kilometres (124 miles) northwest of Beijing. The side of a building was covered in soot in front of a row of burnt out trucks across the road, footage broadcast by CCTV showed following the latest deadly incident to hit a factory in China. The blast damaged 38 trucks and 12 cars, the local propaganda department said on its Twitter-like Weibo social media account. The injured were taken to hospitals for treatment following the blast at 00:41 am, according to the department. The death toll rose from 22 to 23 later in the day after another body was found, according to the city government. The factory's and exterior archway were blackened. Across from the blast, AFP reporters saw a field of blackened grass and trees, with smoke billowing from the embers. Heavy machinery was brought in to remove debris. A truck carrying acetylene blew up when entering the plant, igniting nearby vehicles, according to the official Xinhua news agency, which cited a preliminary investigation. Rescue efforts and the investigation were still underway, Xinhua said. 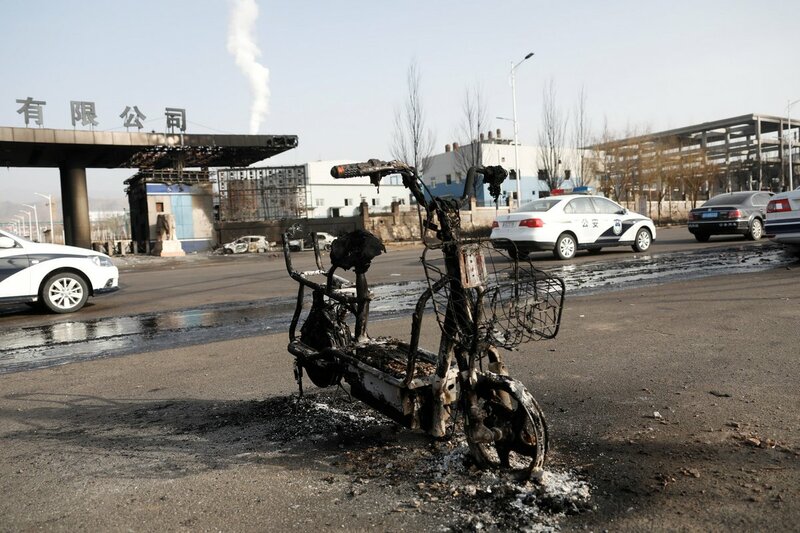 The Zhangjiakou propaganda department said the blast occurred near Hebei Shenghua Chemical Co., but Xinhua later reported that it happened at the entrance of nearby Haipo'er New Energy Technology Co.
"It was after midnight when I put down my phone to go to bed when I heard a very loud bang, followed by a few more," said a man named Zhang who works in another chemical factory some 200 metres (yards) from the blast site. "There was a shaking and two pieces of the ceiling fell. I thought it was an earthquake so I hid under a bed for a while," he said. "When I looked out of the window I saw a large fireball sweep across the area," said Zhang, whose car was singed. He awoke others in his dormitory and they ran to safety. "Even the grass outside our factory was on fire, so we quickly put it out," he said. Beijing is hosting the 2022 Winter Games, with some of the mountain sport competitions taking place on the outskirts of Zhangjiakou. 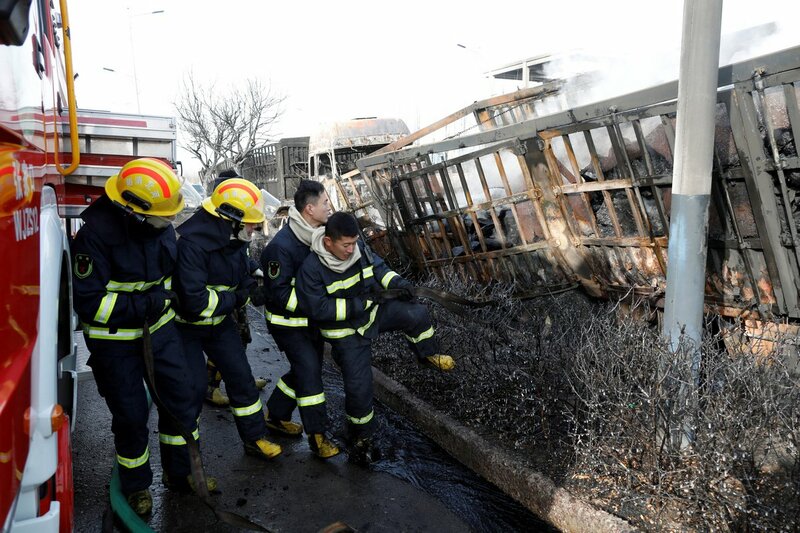 The explosion occurred in the city's Qiaodong district. Snowboard, cross-country skiing and freestyle skiing events will be held some 45 minutes away in Chongli.